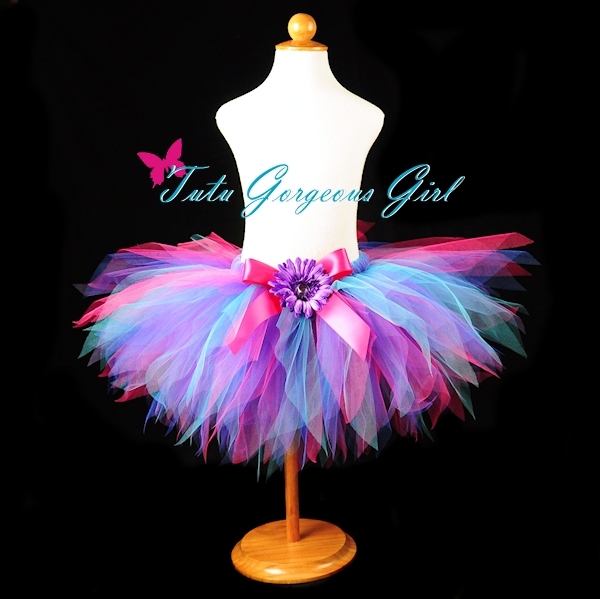 Vibrant hot pink, purple, blue and turquoise birthday tutu for baby, girls, women. The Razzle Dazzle tutu features a fabulous blend of colors that are perfect for a birthday tutu, dance recital tutu or photo prop. This vibrant tutu is made with fuchsia, turquoise, royal blue and purple tulle. Tutu includes a satin bow at the waist and optional flower clip and stretch headband.